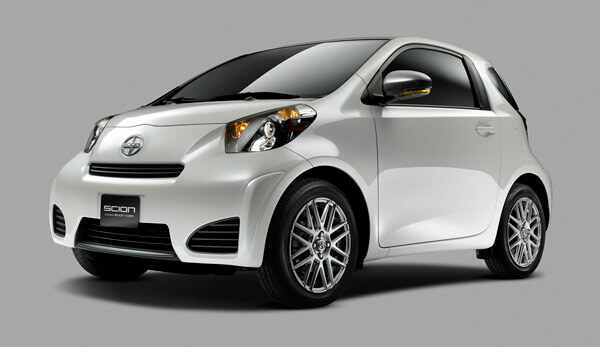 The Scion iQ, Toyota's tiny EV car that could, got an official 2012 launch yesterday at the automaker's annual dealer meeting in Vegas. The quiet, though far from specific launch announcement frees this 65 mile-per-charge roadster from its pre-production limbo. Shown off last March at the Geneva Motor Show, the Scion iQ had been put on indefinite hold while factory production in the carmaker's disaster-stricken homeland ramped back up to speed. With all signs now set to go, the only red-light still lingering is the micro-subcompact's undisclosed MSRP. Considering the recent bankruptcy of Norwegian Think's EV offering, we're glad to see Toyota looking out for its little guy. Toyota Scion iQ EV plugs-in for official 2012 launch originally appeared on Engadget on Fri, 01 Jul 2011 15:05:00 EDT. Please see our terms for use of feeds.